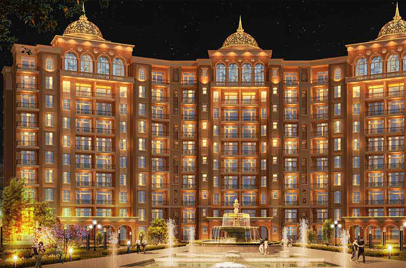 Suncity Projects is a renowned real estate company handling and developing urban projects including residential and commercial projects as well. 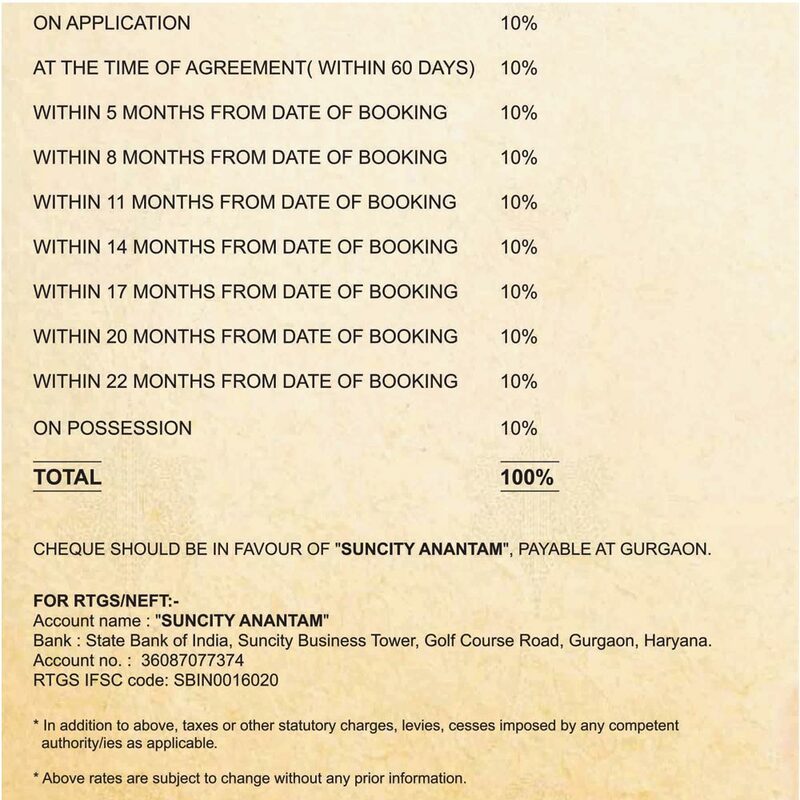 Suncity Anantam is a residential project, located in Vrindavan city, comprising plot area sized from 117sq yards to 300sq yards or 97 sq. m. to 250 sq. 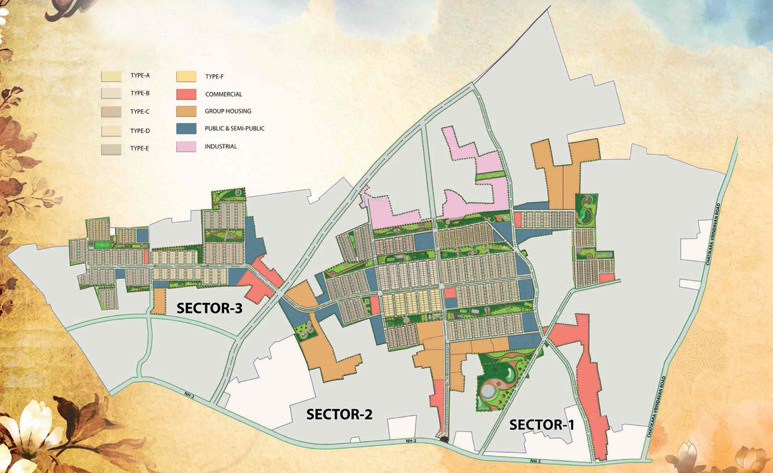 m.
The project is spread over 575 acres in a location where peace and tranquility will be your companion. 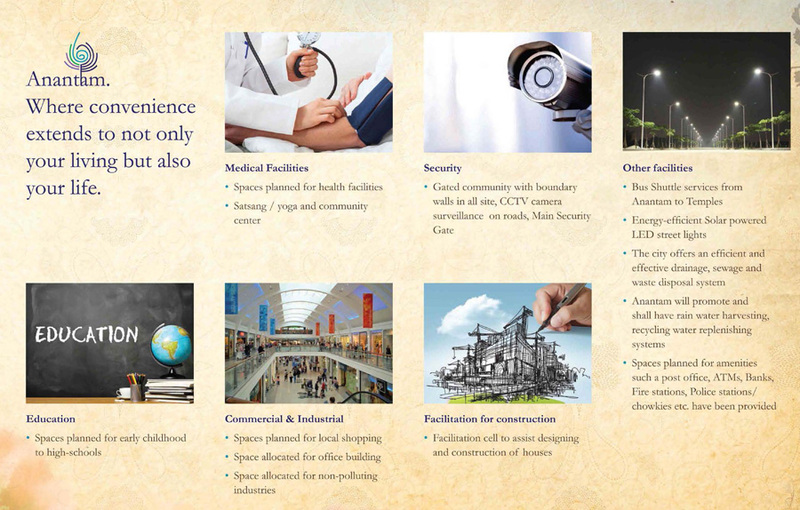 Suncity Anantam is comprised of several amenities, which include Satsang/Yoga and community center, commercial and industrial spaces for local shopping, office building and non-polluting industries, an upcoming world's tallest temple, amphitheatre, cricket/football field, open gym area, and adjacent to medical, educational, commercial and industrial facilities. 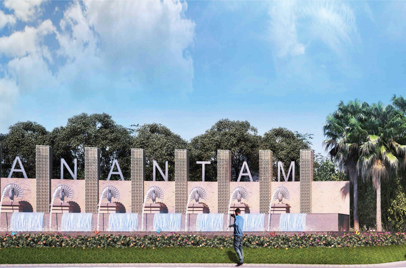 This project is a safe option for investment as it is approved by MVDA (Mathura Vrindavan Development Authority), Real Estate Regulatory Authority (RERA), and for bank loans. 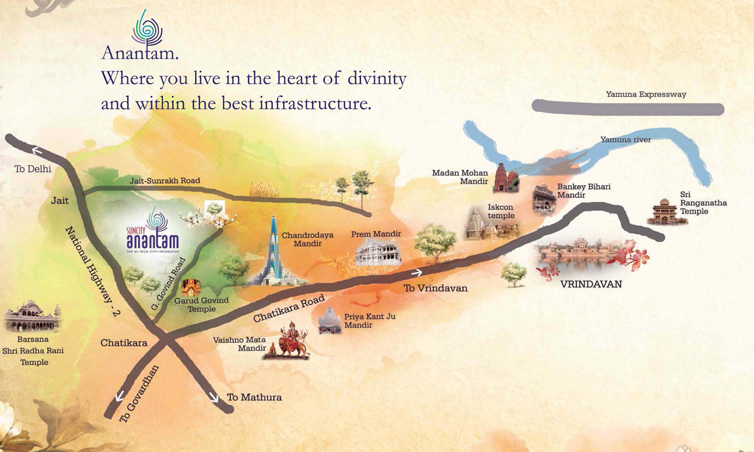 ISKCON temple, Bankey Bihari temple, Prem Mandir, and several other temples are close to the site.